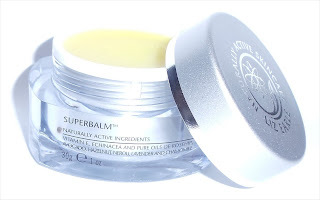 Liz Earle's SuperBalm is a thick salve that can be used on lips, dry skin on hands, heels and your elbows to soften and soothe dry, chapped skin. It is packed with Vitamin E, Echinacea and pure oils of Rosehip, Avocado, Hazlenut, Neroli, Lavender and Chamomile and smells divine. I would advise to gently warm it up between your fingers before application as it is quite waxy. As this winter has been particularly harsh I have been using a few products to keep me soft, moisturised and protected. Balms have been an essential of mine and this is one my favourites. I used it on my lips after a day out in cold, windy weather when my lips felt like they were cracking and on the verge of splitting. Come morning, my lips were soft, smooth and perfect. I must admit to being quite lucky that I don't really suffer from dry skin so this 30g jar would last me ages. I have however also been using the balm on my nails and cuticles as suggested. My fingers look oily for a few seconds but this disappears quickly. I am hoping with long term use it strengthens my nails that have a tendency to become brittle and break. The packaging passes my all important bathroom test - The balm is packaged in a gorgeous clear jar with frosted silver lid and looks great on my bathroom shelf. SuperBalm is priced £15 for a 30g jar or £4.50 for 5g (the portable version) and available to purchase from www.uk.lizearle.com and selected stores - see website for more details. 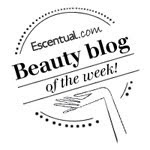 Keep reading BeautySwot to find out what other products have been protecting me against the elements this winter. What have you been using this winter?